The Intra-Disciplinary Seminar (IDS) Public Lecture Series presents a lecture by Uzma Z. Rizvi. It is free and open to the public. 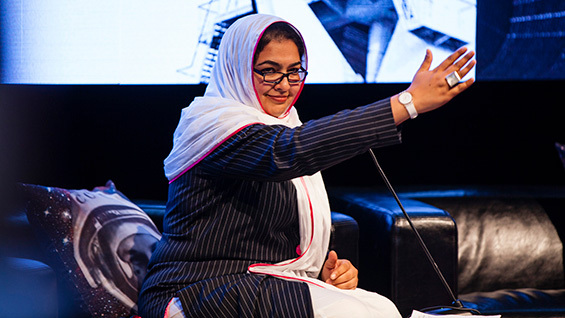 Uzma Z. Rizvi is Associate Professor of Anthropology and Urban Studies at the Pratt Institute of Art and Design, Brooklyn, NY, and a Visiting Researcher in the Department of International Studies at the American University of Sharjah, UAE. Rizvi’s research focuses on decolonizing archaeology, ancient urbanism, critical heritage studies, memory and war/trauma studies and the postcolonial critique. A primary focus of her work contends with archaeological epistemologies and methodologies, and she has argued for a changed praxis based on decolonized principles, and community based practice. In many respects, Rizvi’s work is contemporary as it traverses time. She has interwoven anthropology with cultural criticism, philosophy, critical theory, art and design. Since receiving her doctorate from the Department of Anthropology, University of Pennsylvania in 2007, Rizvi has been Faculty Fellow and Chair for the Initiative on Art, Community Development and Social Change at the Pratt Center and a Postdoctoral Fellow at Stanford University. Rizvi’s research has been supported by Fulbright Hayes Fellowship, the George Dales Foundation, and the American Institute of Pakistan Studies, among others. Rizvi specializes in studying third millennium BCE communities in the MENASA region, as well as being a critical voice for global issues related to contemporary politics. The IDS Public Lecture Series, consists of lectures by artists, theorists, activists, designers, writers, curators and other practitioners involved in the arts from positions that embody an interdisciplinary approach or that imply new uses for disciplinary traditions. The IDS Public Lecture Series is part of the Robert Lehman Visiting Artist Program at The Cooper Union. We are grateful for major funding and support from the Robert Lehman Foundation.